Creative Market Weekly Design Free Goods is a Weekly Design Resources Freebies collection we would love to introduce to you. It’s a limited time free offer for one week only, so to remind you every week to download the premium design resources for Free, We decided to create post weekly. We hope you enjoy the Premium files for $0 from the creative authors around the world. And one more thing, don’t forget to share FreeUI.Design with your friend, this would support us a lot. Happy downloading! 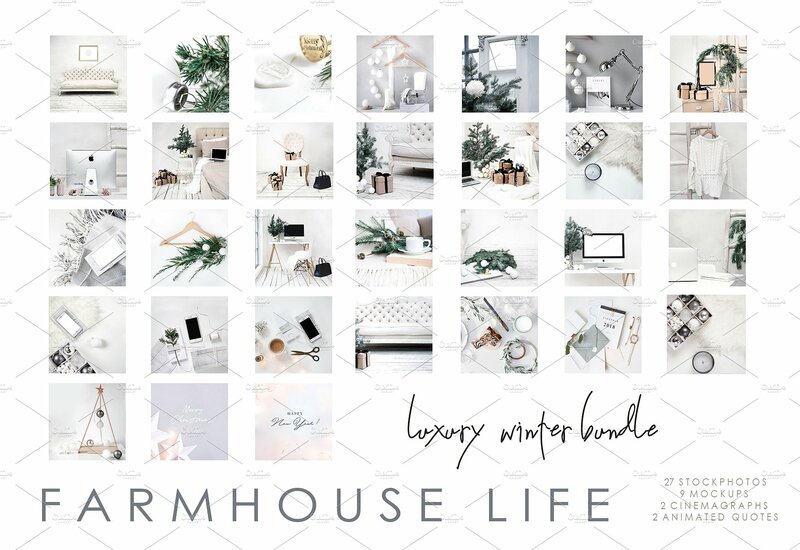 Note: Download these 6 free goods before it’s too late! 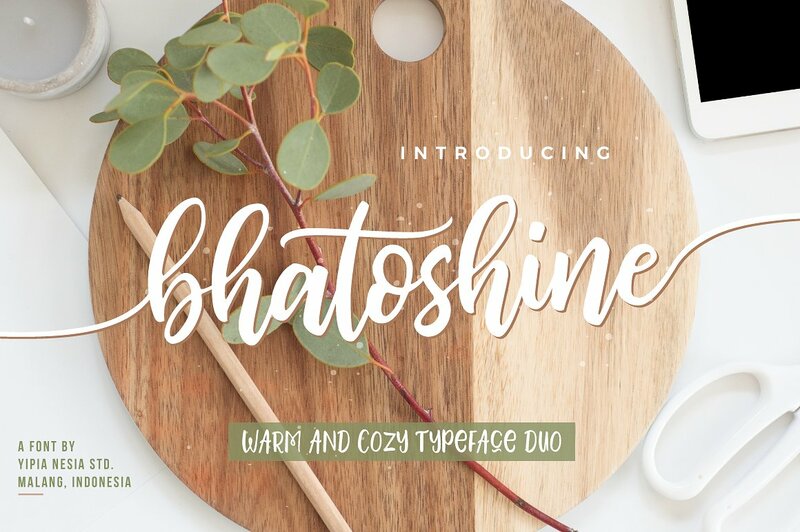 Bhatoshine Fancy Font Duo. A hand brushed fun, warm, and cozy typeface duo with extras. These 2 hand brushed fonts are perfectly combined with one another. The Bhatoshine Regular font combines with the Bhatoshine Caps font to make each word unique, and BOOM! The beautiful typography! Bhatoshine Regular ( ttf and otf ) – a hand brushed script font comes with upper and lowercase Standard Characters, Punctuation, Numerals. And other Glyphs variation of the OpenType features such as Stylistic Alternates, Stylistic Sets and some Ligatures. Alternates are available for lowercase characters. Bhatoshine Caps ( ttf and otf ) a hand brushed font containing uppercase only characters, punctuation, numerals. These 2 hand brushed fonts are perfectly combined with one another to create beautiful typography. Extras ( ttf, otf and vector ai ) – hand doodled illustrations and brushed swashes to add punch to your typography designs. Includes a range of multilingual support. Please message me if you’re unsure of any language support. 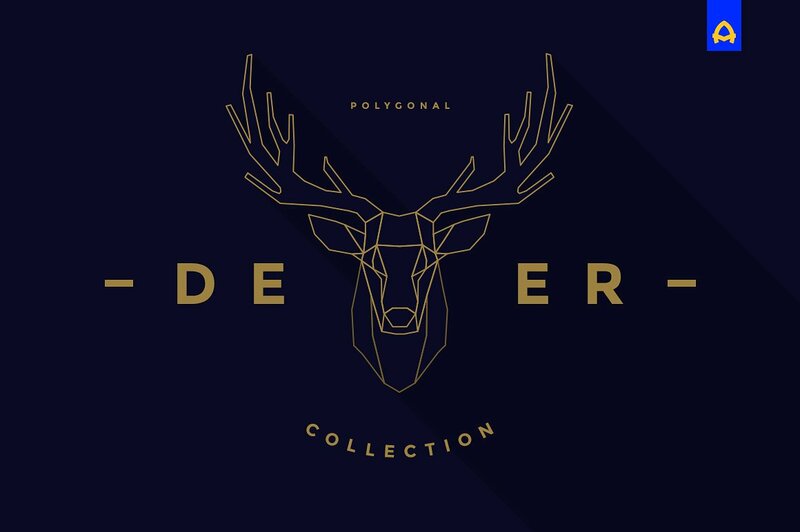 Polygonal Deer Collection includes 14 deer illustrations. You can find here Deer logo layouts, polygonal deer and doe illustrations, deer portraits and silhouettes. Everything is in vector shapes, feel free to resize them without compromising on visual quality. The text is editable. 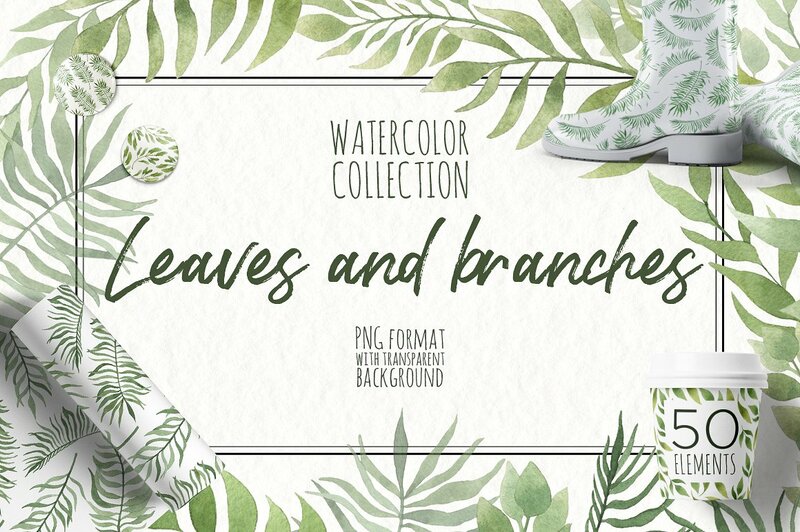 A watercolor collection consisting of both green leaves and branches with additional purple ribbons. All elements are presented separately in PNG format with a transparent background. The collection is ideal for wedding decor, corporate identity, festive decoration and other projects. 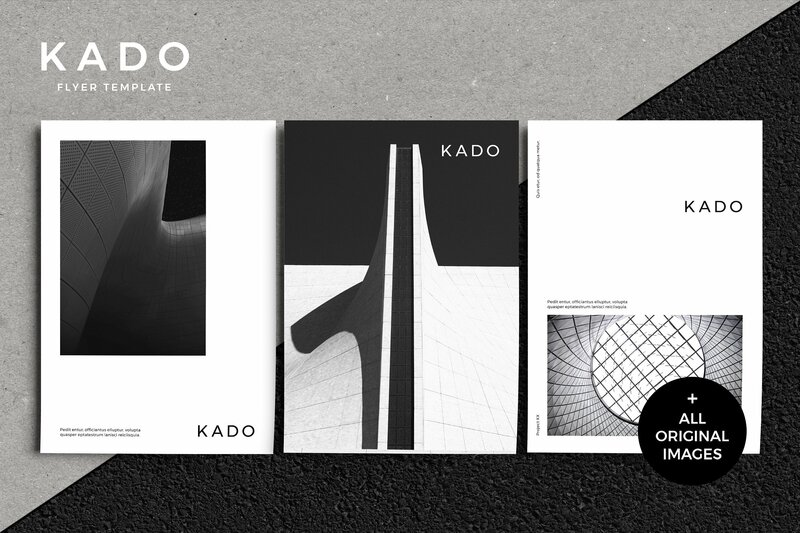 The K A D O Flyer template is an image based multipurpose flyer available in A5 & A6 and US Half Page & US Small Flyer size. Clean, modern and fully customisable. Ideal for advertising, launches, events, invites and much more. 3 sets of flyer designs to choose from (6 pages all up). Mix and match the front and backs. Print ready or export as a PDF. Simply replace the logo and text with your own. All text is professionally typeset using paragraph and character styles. 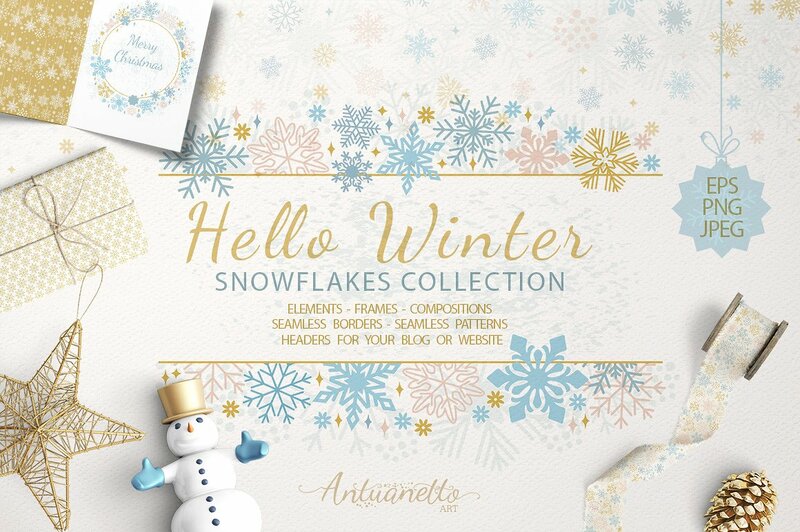 Winter collection with compositions, borders, frames, snowflakes, headers for your blog or website, seamless patterns and textures for your designs and ideas. Perfect graphic for DIY projects, cards, wedding invitations, greeting cards, identity, packaging design, cases, photos, posters, bags, wallart, logos, quotes, blogs, website, banners and more.